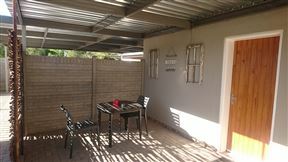 The guesthouse is near the Upington MediClinic. 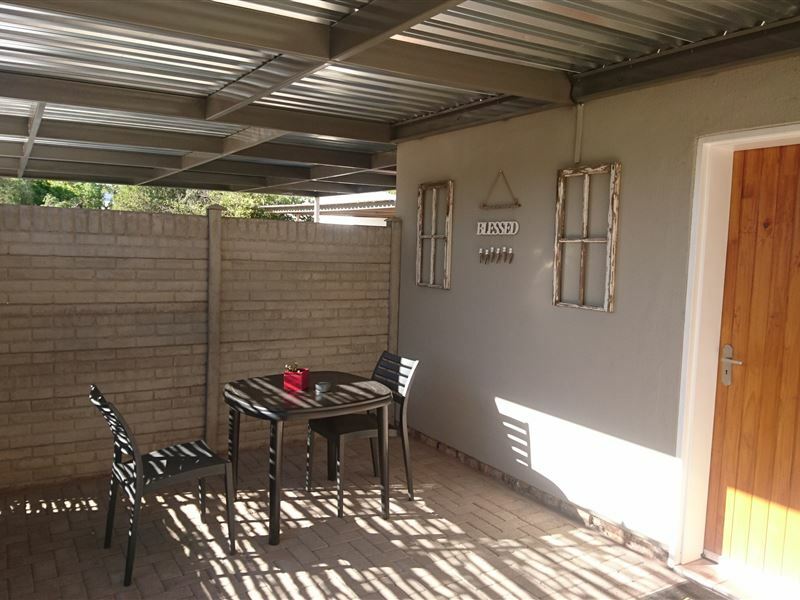 The Kalahari Mall Shopping Centre is located less than five minutes away and offer a wide range of shops and restaurants that cater for breakfast, lunch and dinner. Guests can make use of the swimming pool. Safe parking is available. 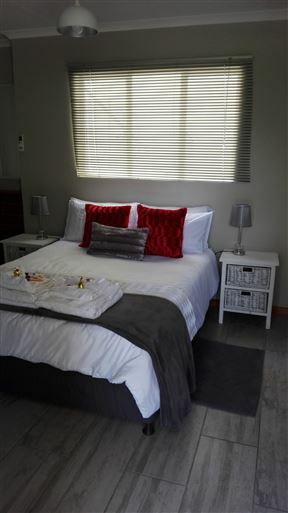 This room is furnished with a double bed and en-suite bathroom. 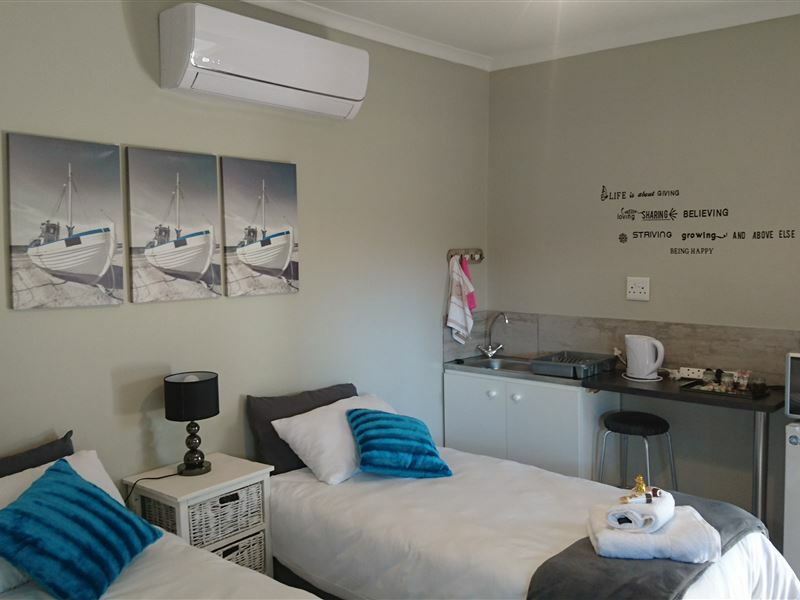 It also has an open-plan kitchen with tea and coffee facilities, microwave oven and bar fridge. 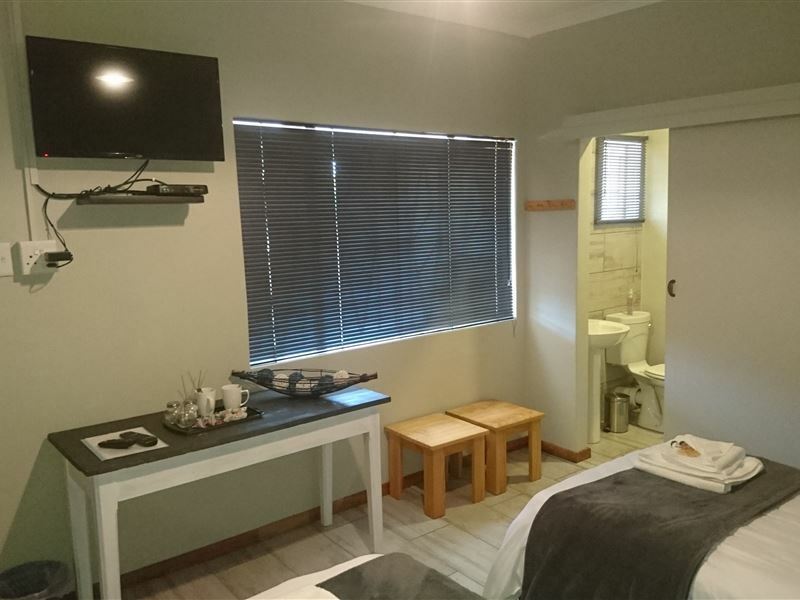 This room has DStv and safe undercover parking. 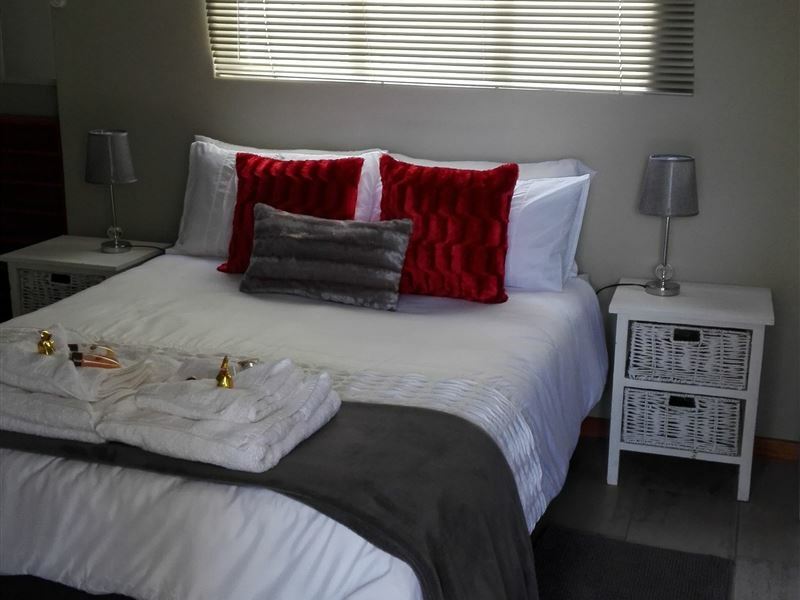 This room is furnished with two single beds and en-suite bathroom. 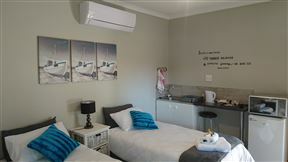 It also has an open-plan kitchen with tea and coffee facilities, microwave oven and bar fridge. 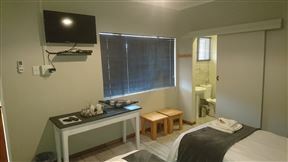 This room has DStv and safe undercover parking.